The Clinton Industries Value Series Mobile Weight Wagon is a movable storage device designed to hold cuff weights, dumbbells, and much more. 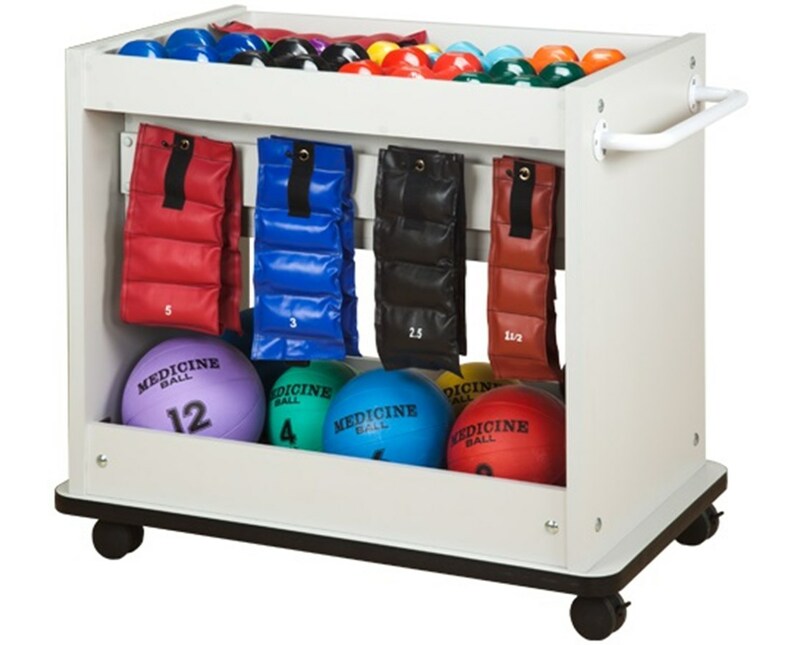 It is an optimal choice for exercise or therapy in any rehabilitation and physical fitness facilities. Awesome Design. 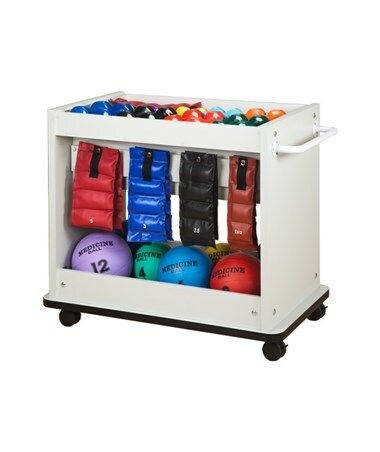 Made with an all gray laminate construction, the Mobile Weight Wagon is easy-to-clean, features a top storage tray that can hold up to 20 dumbbells and 8 cuff weight adjustable sliding hooks. It includes 3" swivel casters, with 2 that lock, for hassle-free movement and a bumper molding around the Wagon's base that helps prevent scrapes and scratches during transport around the facility. The Clinton Industries Value Series Mobile Weight Wagon comes with the top tray size of 21.5" x 32" and an overall size of 39" W x 23" D x 55" H.
Top Storage Tray Size of 21.5" x 32"